This week has been one of those weeks where there is just one thing after the next. It has a been a fun week; I feel like I need to catch my breath. 1. Alex had her chorus concert. They sang songs from Disney movies. It was actually really well put together and a great show. Alex was very animated, especially her bow at the end with the extra flips of her wrist during the hand wave. 2. 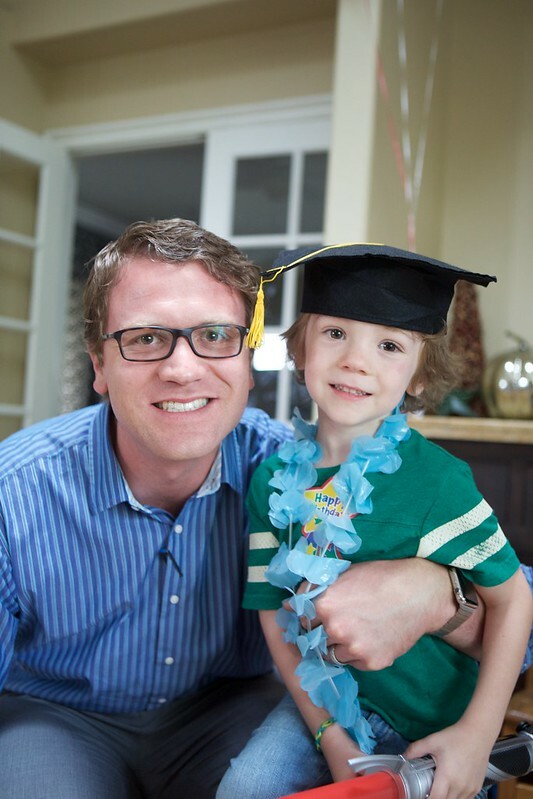 Ryder graduated from preschool yesterday! 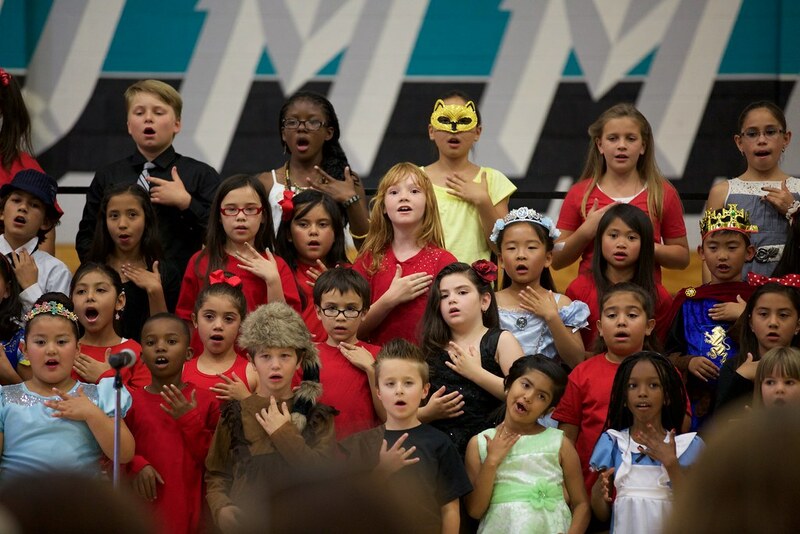 This one probably will get a whole post of it's own, but just have to say it was a cute ceremony where they sang some of the songs they learned during the year. The one song Ryder knew really well, he made sure to sing extra, extra loud. 3. Eric was able to attend Ryder's graduation and after the three of us went out to lunch. It was fun having him crash Ryder's and my usual lunch date. 4. It rained! It rained quite a bit and is supposed to rain more today. We just have our fingers crossed that it will stop soon enough that the boys can go on to the Father's and sons campout. Alex sure hopes they can, as she has big plans for the girls. 5. A few days before Ryder's birthday, we were still trying to settle on what kind of cake he wanted. In the end he decided a Minecraft cake. 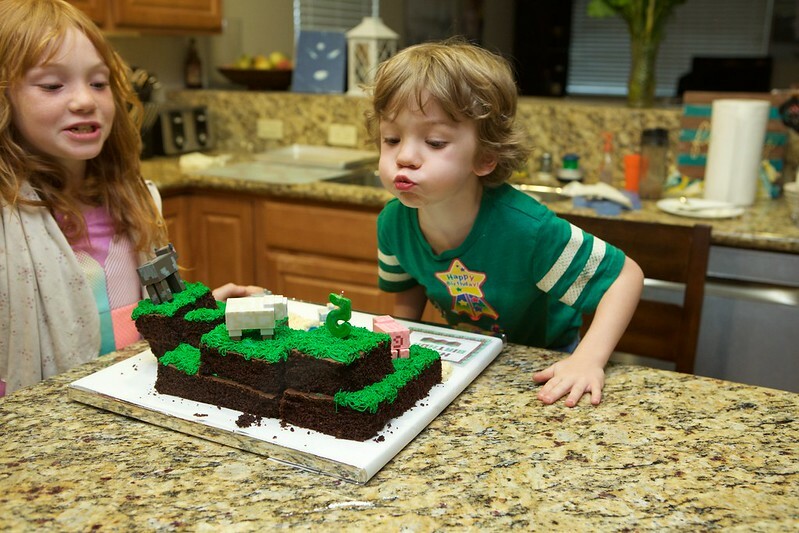 Thankfully we had already ordered some little mini Minecraft figures, for one of his presents, they were the perfect accessory to the cake. Aww look at him! Congrats! Ryder graduated and had a birthday? How did you hold it together? He's getting so big and grown up. I love the cake and I love the picture of Alex at her concert. 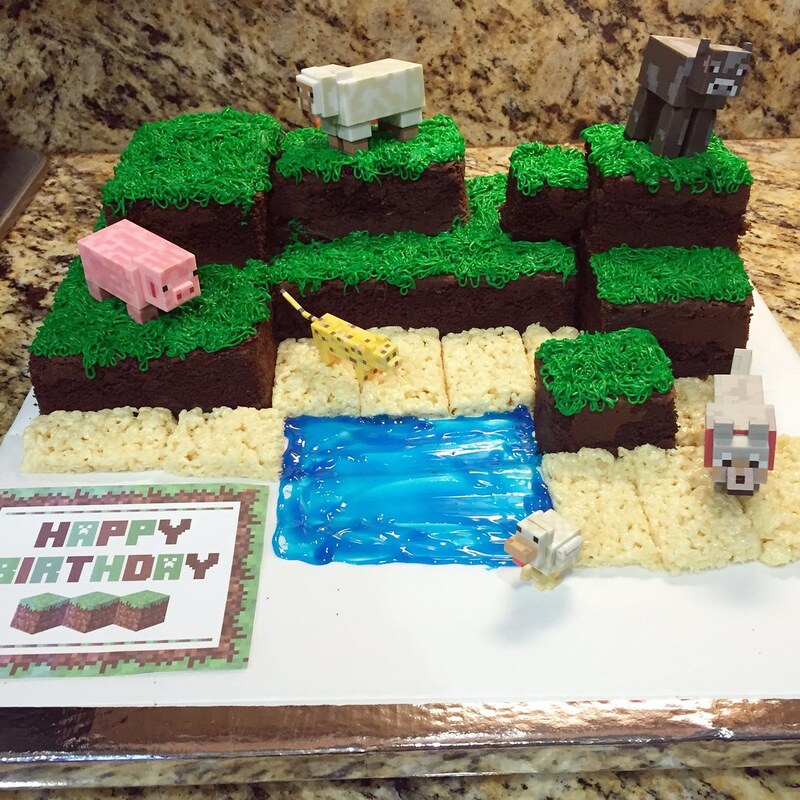 I have no idea what minecraft is but that cake is really cool looking!